Many times in social media posts, videos, articles and so on from anti-creationists and militant atheists, they act like they're doing the world a favor by ridiculing Christians and creationists. Many will go on crusades to rid the world of that nebulous phantom of "religion" that "causes all the wars", or attack biblical creationists for the sake of protecting "science" (they are not protecting "science" at all, they conflate their religious views of evolution with science, and try to protect that from scrutiny). Purveyors of "reason" use very little of it, and rely on emotionalism and bigotry to persuade people of their views. Many of these keyboard warriors are unwilling to be obstreperous in person, saving their vituperative remarks for safe locations and (frequent) anonymity. It's mighty interesting to see that people who deny God (without whom logic and science are impossible) think they have a moral reason for their actions — but atheism and evolutionism do not have a consistent moral foundation! Their "morality" is a thinly-veiled excuse for bigotry against Christians and creationists. Atheists have come up with several groups of new "commandments", which are very weak attempts to be "better" than God's commandments. The latest group of their commandments is illogical and unimpressive. These things begin with thoughts and attitudes. From there, we get words (for example, leaving rude comments on Websites and social media), legislative manipulation through leftist politicians and judges, increasing persecution, finding ways to silence us — I reckon that there'll be a time when militant atheists and anti-creationists will think they're doing something "good" by eliminating us. 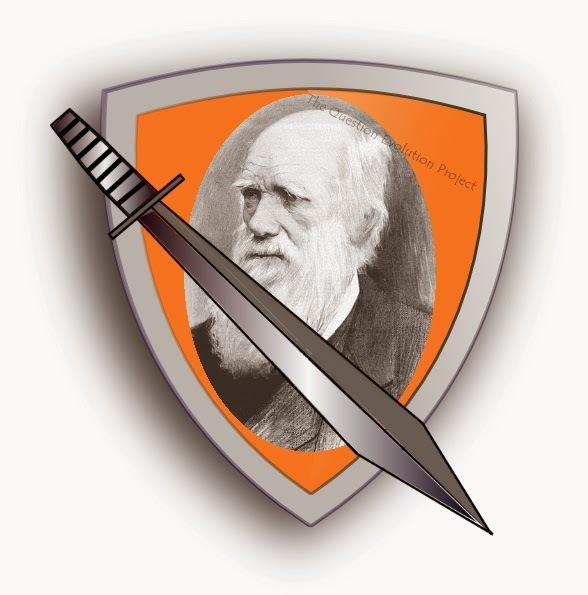 If you think I'm using hyperbole, think again: Check out the acts of violence by atheists and evolutionists in this article. Blatant bigotry from a evolutionist propaganda forum. If origins science was based on evidence and logic, evolution would have been dropped on the trail of science long ago, and people would be creationists. Instead, it is a spiritual problem that is propelled by emotion, idolatry, and arrogance. The foundation for Christian beliefs is supposed to be the Bible. Unfortunately, many people use their religion to gain good feelings. The "Charismatic" groups seldom use scriptural principles in their gatherings, instead indulging in simultaneous ecstatic babbling and unbiblical "prophesies". Many Scripture-twisting heresies (such as the "Word of Faith" or "Name It Claim it" teachings), the New Apostolic Reformation, and the ecumenical movement are rooted in Charismatic beliefs. The canon of Scripture is closed, there are no new prophesies to be added. Yet, many people claim to have special or new revelations from God. Many of the so-called prophesies are vague and worthless, and others are blatantly false. The Bible is clear that a prophet from God is speaking to glorify God and proclaim him, and the prophet must always be right. But people listen to the false prophet anyway; they want to feel good. Serious Christians want the power of the Holy Spirit in their lives. But the extreme emotional groups act like the sign gifts are all that matters. We are to lift up Jesus, not feelings, prosperity, emotions, gifts and so on. The Holy Spirit glorifies Jesus (John 16:14)! Charles Stanley has an excellent 30-minute lesson about the power of the Spirit in the believer's life. It is available on the site, look for "Clothed With Power" in the list (December 31, 2014 episode). Also, the direct link to download the MP3 is here. Religious people seeking good feelings instead of the truth of Scripture is by no means limited to the Charismatics! Mainstream churches have compromised seven ways from sundown with "seeker friendly" and "emergent" trends. Compromisers like Rob Bell (who has not only dismissed the Christian doctrine of Hell, but has other strange views) and Rick Warren (who advocates uniting with Roman Catholics and promotes Chrislam) are obvious apostates, but many other churches are more interested in bolstering attendance than in standing for the truth. Cults appeal to emotion. Part of this is to keep their people under control, but also use emotion to draw others into their false systems. (Mormonism is big on having a "testimony" that is based on emotions and false teachings, for example.) Cults often make a show about caring for people, but intimidate and manipulate to keep them. It must be nice to be part of the One True Church™. Pride is what moved Lucifer to rebel against God, and he was cast out of Heaven with a third of the angels who followed him, and he became Satan (Isaiah 14:12-14, Ezekiel 28:11-19). What did he use to tempt Eve in Eden? He questioned God (Genesis 3:1), called God a liar (Genesis 3:4), and appealed to her pride (Genesis 3:5). Eve's desires joined in, and she ate the forbidden fruit (Genesis 3:6). Pride has a strong emotional component. People want to lay low because they're afraid of being labeled and ridiculed, and they also want to feel like they're doing something important (such has having exclusive truth or destroying enemies of "science"). Add pride to the desire to feel good, and you get atheists, anti-creationists, cults, and liberal "Christians" playing fast and loose with Scripture, including making it seem to be of no importance. It is more important than ever to take a stand on the authority of God's written Word, stand up to apostasy, compromise and deception, (2 Cor. 10:4-5), and grow in Christ (2 Peter 3:18). Satan is active and wants to destroy us (1 Peter 5:8). God uses people to bless others Satan has people (John 8:44), and uses them to accomplish his will. He hates God and God's people, and his hand puppets hate us as well. Never forget who is greater (1 John 4:4).